The brief history of a car which proves that not all three-wheelers are jokes. To most people the idea of a 3-wheeled car conjures up images of Del Trotter’s yellow van from the classic TV series Only Fools And Horses (which was not a Reliant Robin, by the way, but the earlier Regal – a fact I know only too well since my parents owned a succession of three (ha, the irony!) such cars before they eventually graduated to a vehicle with four wheels). The inherent instability that comes of having only one wheel at the front may offer the opportunity for comedy gold but it does have some benefits – the main one being that due to having a trio of wheels, tiny engines and lightweight bodies 3-wheeled cars are classed as a motorcycle and sidecar and can therefore be driven on a standard motorcycle licence. Although Reliant sadly went out of business in 2001, there still remains a British car company producing a 3-wheeler – and a sports car at that! 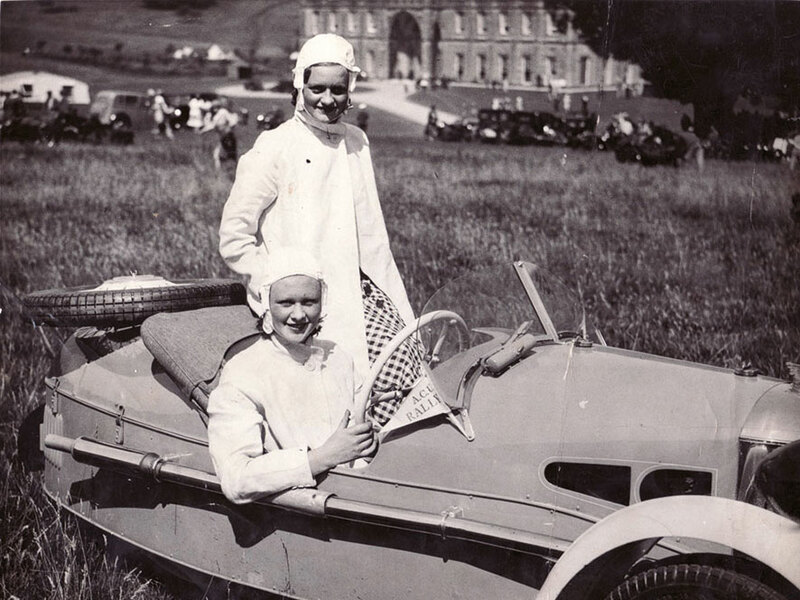 That company is Morgan Motors, based in Malvern, Worcestershire and the car is the Morgan 3-Wheeler. A three-wheeled sports car may sound something of an oxymoron, but in the case of the Morgan the single wheel is at the back, providing greater surefootedness for a car with sporting pretensions. The history of the Morgan 3-Wheeler is the history of the Morgan Motor Company itself, since the business began life in 1909 producing a tiny little 3-wheeled car called the Runabout. The car was the brainchild of Henry Frederick Stanley Morgan, a young engineer from Herefordshire who had served his apprenticeship at the Great Western Railway works before an interest in bicycles and motorbikes lured him away from steam locomotion. This fascination soon came to focus on the newfangled motorcar and by 1905, at the age of 24, young Harry Morgan – or simply “H.F.S.” to those who knew him – was running a small motor garage and dealership on the Worcester Road in the town of Malvern. Although the business proved successful, Harry Morgan felt that there was a gap in the market for a small, light car – bigger than a motorcycle but not as cumbersome and complex as a car – and so set about designing one himself. Just as Reliant would benefit from lightweight car regulations nearly half a century later, so Morgan was able to draw from the popularity of a class of vehicle known as the voiturette, or cyclecar, which was proving to be all the rage in Edwardian England. The cyclecar conformed to a similar set of rules, being under a certain weight and engine size/power; however most designs of the time were little more than glorified motorcycles with extra chassis framework supporting two wheels at the front and an extra chair (usually perched somewhat precariously ahead of the driver!). Morgan saw the opportunity to design an entirely new model from the ground up. Utilising a lightweight, low-slung tubular steel chassis fitted with a small V-twin (a two-cylinder engine in a V formation) motorcycle engine, the 1909 Morgan Runabout was a revelation compared to what had gone before. Although it may look somewhat crude to modern eyes and with its 7(!) horsepower engine sound woefully underpowered, its tubular steel design gave it an extraordinary power-to-weight ratio of 90hp per ton (about the same as a modern Ford Fiesta), making it one of the fastest-accelerating cars of its type at the time. It must have been quite exhilarating when going flat out! Although Harry Morgan had originally built the Runabout for his own personal use only, such was the interest from his friends that he needed little encouragement to patent his design and put it into production. With financial support from his father H.G. Morgan (a vicar to boot!) H.F.S. was able to secure a stand at the 1910 Olympia Motorcycle Show in London, where he unveiled the first production Runabouts. The car was still pretty basic, having only one seat and a tiller rather than a steering wheel, and although much interest was shown sales were slow as a result of these perceived limitations. Morgan was acutely aware of these shortcomings but to prove the worth of the basic design he promptly entered a Runabout in the 1910 London-Exeter Motorcycle Club Trial (held in December, of all months, so it must have been a trial indeed! 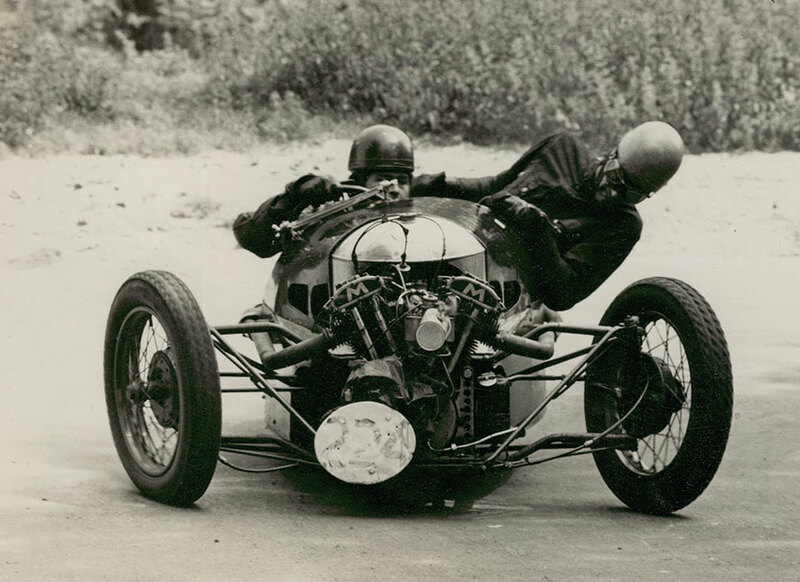 ), for which he won a Gold Medal and which marked the first of many forays into motorsport for Morgan 3-wheelers. By the time of the 1911 Olympia show Morgan had addressed all of the shortcomings of the original Runabout and then some! The car now came with two or four seats, a proper steering wheel, enclosed bodywork and even a fabric hood. It promptly went down a storm (even attracting the interest of the managing director of Harrods, who for a time displayed specially-bodied Runabouts in the store’s front window – making Morgan the only car manufacturer ever to have had a dealership at Harrods!) and the Morgan Motor Company was incorporated the following year. As Morgan continued to refine the Runabout further motorsport success followed throughout 1913 – in reliability trials at Brooklands (often at the hands of Harry Morgan’s equally car-mad sister Dorothy), Cyclecar Grand Prix in France (where it often beat bigger, more powerful four-wheeled cars) and even in hillclimbs. By the end of the year the Runabout was regarded as the fastest, most reliable cyclecar in production. A new version was created to capitalise on these achievements – the Grand Prix model – and such was the demand created by these victories and the publicity which they brought that Morgan was obliged to move out of its Worcester Road factory and into larger premises at Pickersleigh Road, Malvern (where it remains to this day). The First World War largely put the stoppers on Morgan production, but in one of those strange quirks of fate the conflict – or rather one of its more famous participants – was responsible for the creation of the best iteration of the 3-wheeler: the Aero. RFC (Royal Flying Corps) ace Captain Albert Ball VC had bought a Grand Prix model, individually bodied to his specifications, while on leave in the spring of 1917 and taken it with him back to France. A noted daredevil and thrill-seeker, Ball was instantly attracted to the little Morgan, which he would later describe as “the nearest thing to flying without leaving the ground”. Sadly, Ball was killed only a few weeks after taking delivery but in honour of its most high-profile customer Morgan adopted his design alterations into a new model called the Aero, which was introduced in 1920. 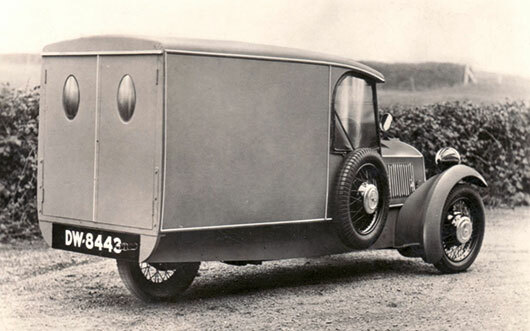 The inherent ‘rightness’ of Harry Morgan’s design meant that the in the following years the 3-Wheeler hardly changed at all (another Morgan characteristic that still endures!) with the only updates being to ancillary equipment, such as headlights, and the introduction of more powerful modern engines. In 1927 the sporting Aero model was developed into the Super Aero, which with its streamlined bodywork made it the ultimate and perhaps the best-remembered of Morgan’s 3-wheelers. Throughout the 1920s Morgans continued to sweep all before them in all forms of motorsport – so all-conquering were they that at Brooklands they were given a one lap handicap over ostensibly better, more powerful four-wheeled machinery! In 1931 Morgan modernised the Runabout, with the company now offering a ‘Deluxe’ model and even a delivery van variant! The Super Aero received a further power boost to become the Super Sports, with an example later lapping the Monthléry track in France at an average of over 100mph (breaking the class One Hour Speed Record) before going on to crack an almost unbelievable 117mph flat out at a nearby airstrip, the driver in both cases being a Mrs Gwenda Stewart! 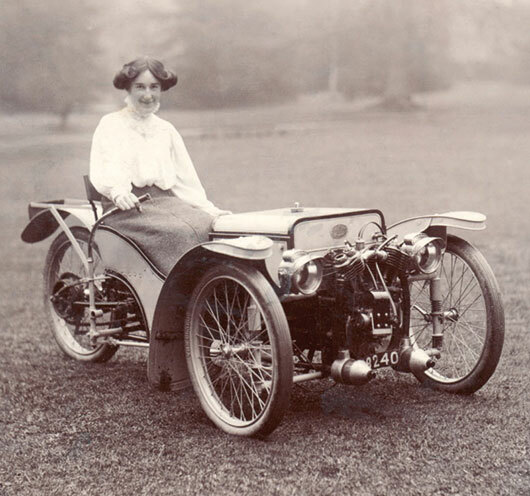 Harry Morgan’s daughters Stella and Sylvia could also be frequently seen racing 3-wheelers – it seems to have been a popular car with both sexes! 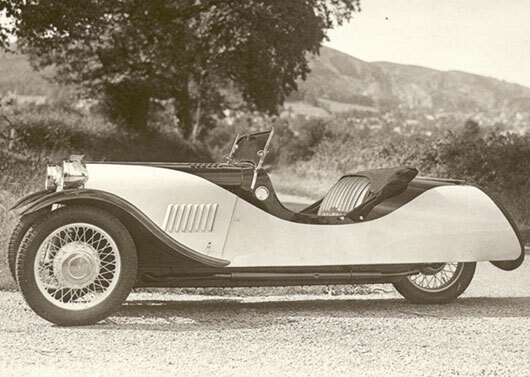 After nearly 25 years in production the Runabout finally gave way to an all-new 3-wheeled model in 1933 – the F-type. Like its predecessor the F-type was offered in both 4-seat (F4) and 2-seat (F2) guises but now with an all-new chassis, the option of a four-cylinder Ford engine and, in the biggest styling departure, a proper enclosed bonnet and radiator. Along with the Super Sports the F-type formed the basis of the 3-wheeler range until the outbreak of World War Two. When production restarted in 1947 only the F-type continued, the F2 having been upgraded and renamed the F Super. However in this new post-war world they were increasingly seen as irrelevant oddities – particularly in the all-important export market of the USA. In 1952 the final F-type left the factory as Morgan turned its full attention to the production of its four-wheeled sports cars. That remained the case until 2011, nearly 60 years after production ended, when Morgan surprised everyone by announcing the reintroduction of the 3 Wheeler to its line-up – suitably modernised but to all intents and purposes virtually indistinguishable from the 1930s Super Sports (and all the better for it!). Once again using a V-twin motorcycle engine it is so close to its forebears that it could almost be considered a continuation rather than a whole new model. It is a testament to the design that it has been reintroduced with so few outward changes and even more so accepted and championed by the motoring press and enthusiastic drivers alike. The rave reviews this car has received since its launch confirms to my mind the view that classic, tried-and-tested designs are still relevant – even desirable – in today’s fast-paced high-tech world (in short, vintage rocks! 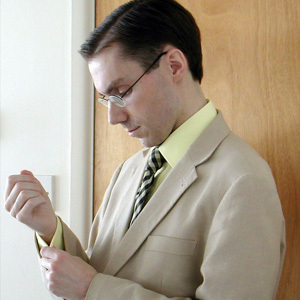 – but then we know that) and simplicity plus a healthy dose of charm can continue to win through. In the five years it has been on sale it has quickly become one of Morgan’s best selling models and rightly so. Now Morgan have gone one step further and brought the 3 Wheeler firmly into the 21st century – by offering an electric version! 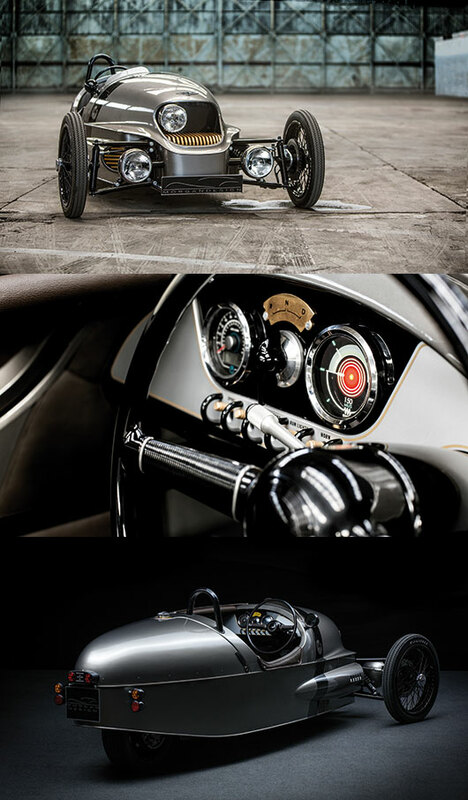 The Morgan EV3 was launched at the Geneva Motor Show in March to universal acclaim and to these eyes is an absolute smasher inside and out – in some ways even better-looking than the car it’s based on (no mean feat considering one of the major styling features – the engine – has gone). 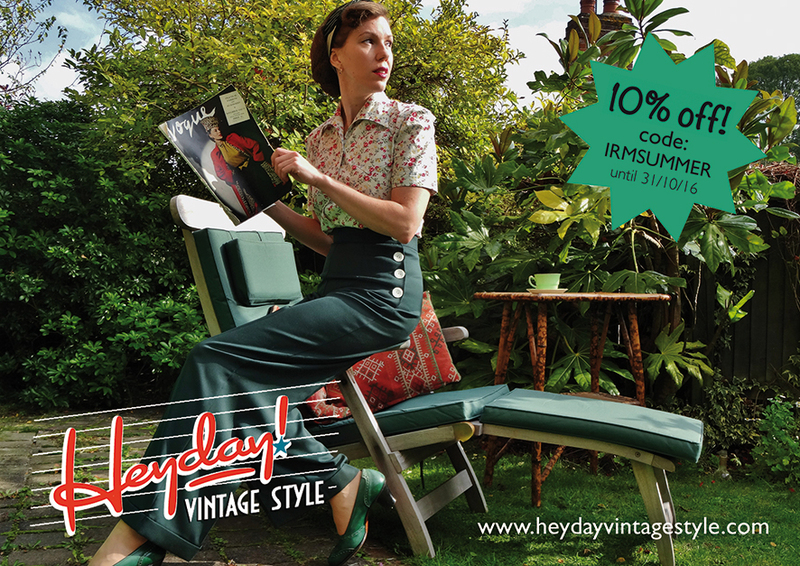 The designer is obviously a man after our own hearts, citing “1930s aero-engined race cars… and 1950s fantasy automatons” as his inspiration, and I’d say he’s definitely succeeded and then some! That centre cyclopean headlight adds to ‘3’ motif perfectly and pays homage not only to vintage motorbikes but also the similarly-styled racing voiturettes of the early 20th century. The brass cooling ducts for the electric motor are an inspired Steampunkesque touch and the interior, with its toggle switches and ‘magneto’ gear selector, is to die for. The ability to look to the past to improve the present is something I’m sure everyone reading this aspires to and it is an equally admirable trait of Morgan cars. 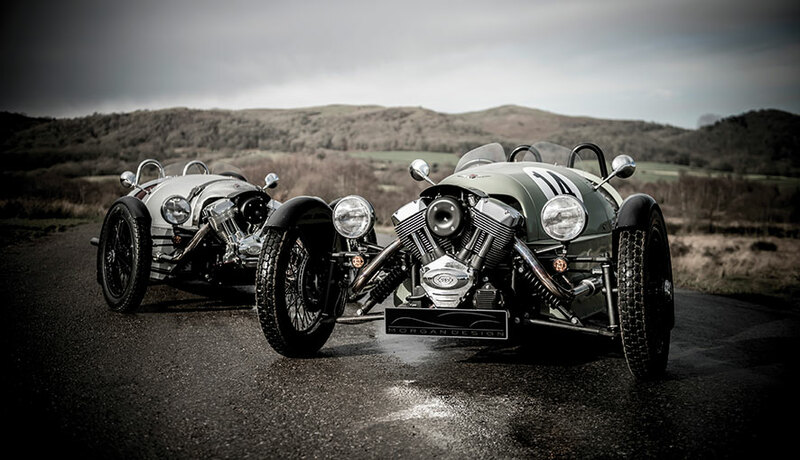 Like the very vehicles they produce, Morgan’s business model is a fantastic fusion of old-school practices and modern technology and their continued success is something to be immensely proud of. The new EV3 is the latest embodiment of that ethos and could not have been launched at a more auspicious time. It may have taken fifty years but the motoring world is once again a better place thanks to the Morgan 3 Wheeler.